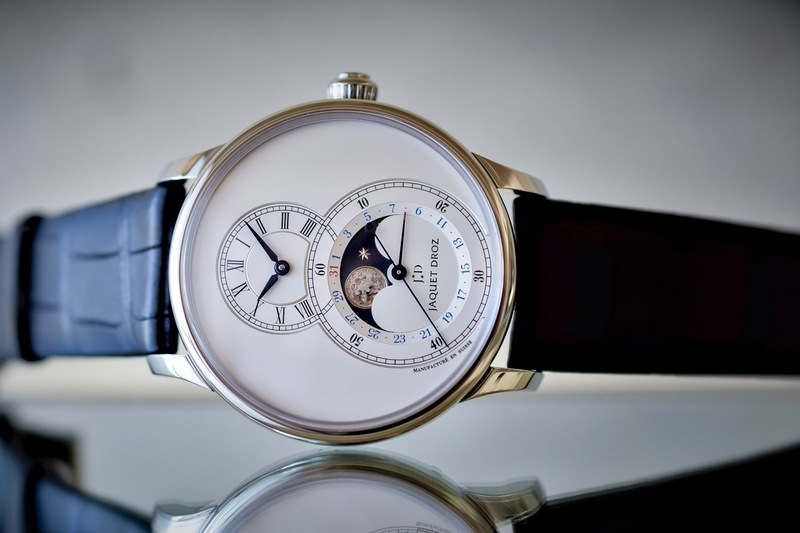 Last month we shared our experience with the Jaquet Droz Grande Seconde Quantième Ivory Enamel in an extensive review and today we’re gonna show you the newest creation from the Jaquet Droz workshops. Just looking at the aesthetics, you could easily mistake it for the aforementioned Grande Seconde Quantième Ivory Enamel. This new one is however a limited edition with a special, and very elegant, complication, called Seconde Morte or Deadbeat. 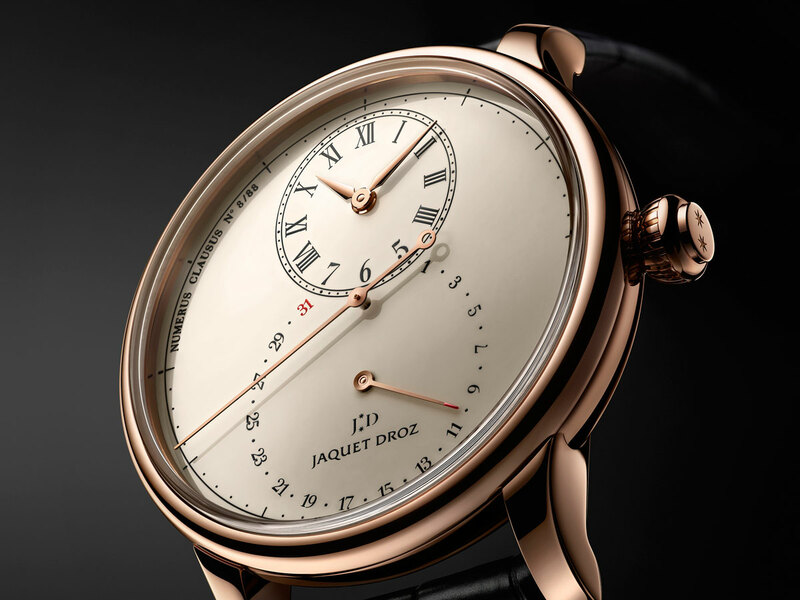 Here’s a the new Jaquet Droz Grande Seconde Morte or in partially English, Grande Seconde Deadbeat. 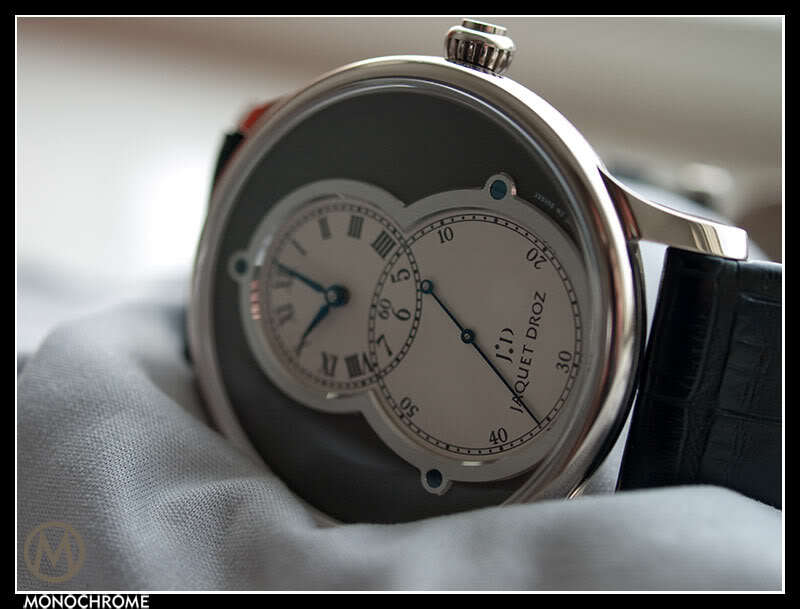 The deadbeat second or seconde morte complication is one that is not often found in wrist watches. That’s fully understandable, because this complication makes the second hand jump, or tick, like the second hand on a quartz watch. Maybe not to everyone’s liking, however the true connoisseur will appreciate the technical complexity as well as the historical importance of the Seconde Morte. The deadbeat anchor escapement was first used in pendulum clocks, and proved to be less tolerant of inaccuracy in its manufacturing or wear during operation. 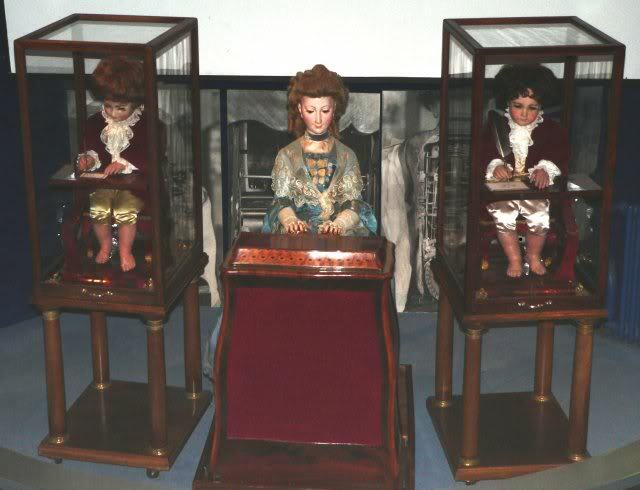 Initially it was used only in precision clocks, but its use spread during the 19th century to most quality pendulum clocks. Aesthetically the main difference between the Grande Seconde Quantième Ivory Enamel and the new Grande Seconde Morte (finally, a short name!) is the size and position of the second hand. Here the second hand is not on the same axis as the pointer-date hand, but placed exactly at the center. It stretched to the far end of the dial and, just because of its position, it catches more attention than when placed co-axial on the pointer-date. And for everyone who’s (fairly) known with the sweeping second hand of pretty much every mechanical watch out there, it will be a strange sight to see that centrally placed large second hand tick, and jump in one-second increments, like a quartz watch. The pointer-date hand is a retrograde hand, because it does not make a full rotation in one month. The date numerals remain outside the off-center hour/minute sub dial, and starts next to the 5 o’clock position, and the 31st is just next to the 7 o’clock position. 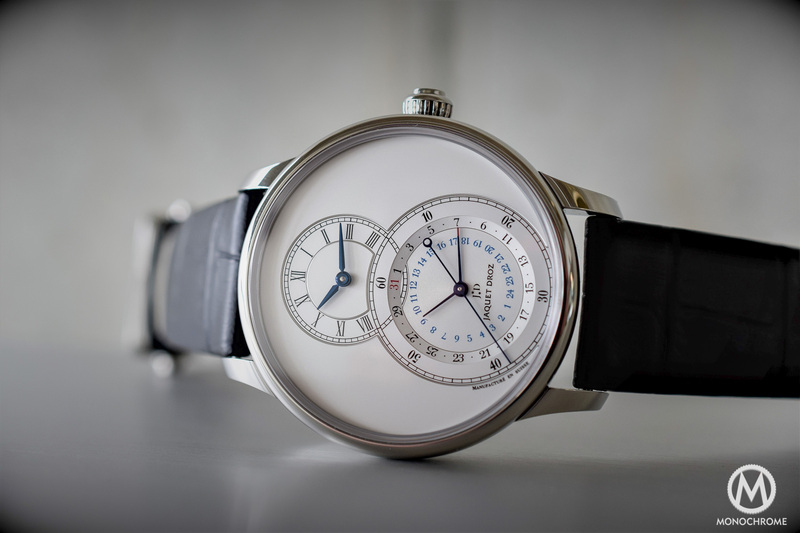 The dial is in ivory-color enamel shows, between 9 and 11 o’clock, the numerus clausus, or in English the limited edition number. Inside ticks the new Jaquet Droz calibre 2695SMR, which has been manufactured within the Swatch Group facilities. 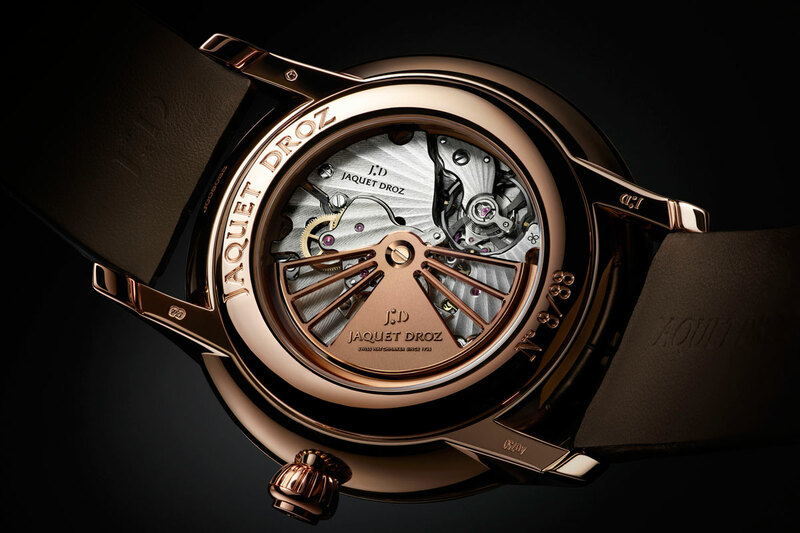 This self-winding movement has a single barrel that delivers 40 hours of autonomy, when fully wound. Through the sapphire pane in the 18K red gold case back shows the nicely finished movement and its 18K red gold oscillating weight. 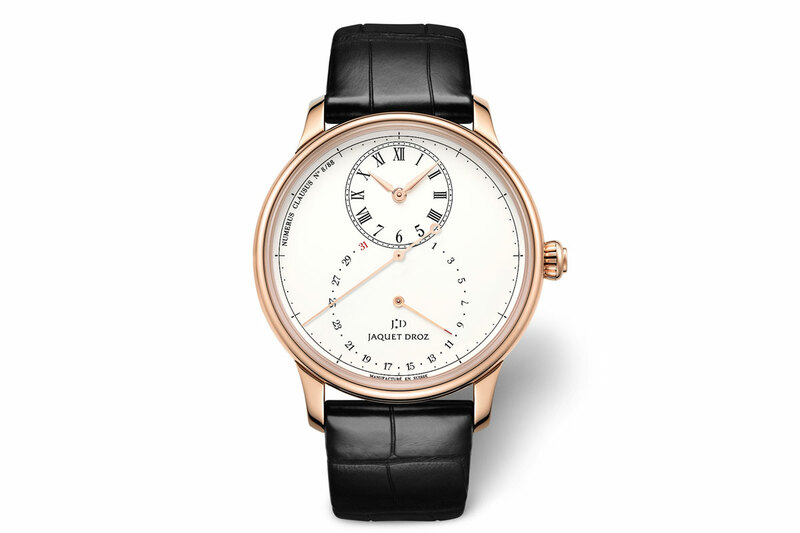 The balance spring is made in silicon, just like it was first used in the Jaquet Droz Grande Seconde Quantième Ivory Enamel. 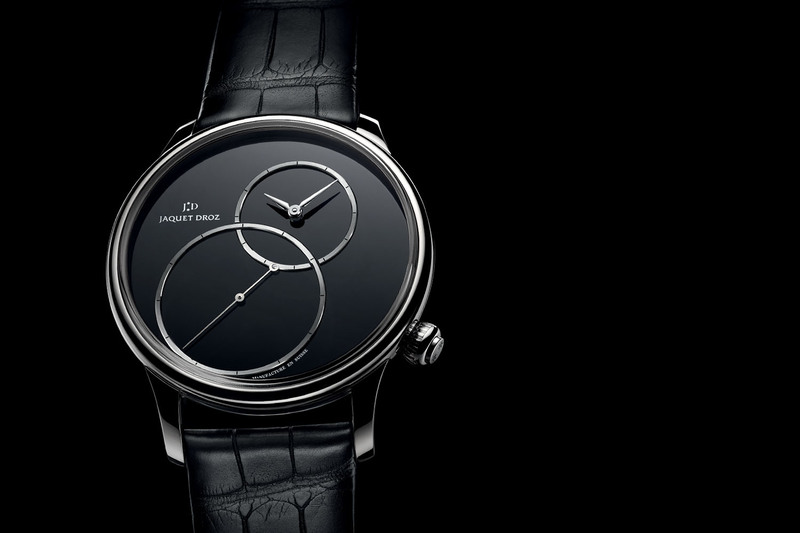 Jaquet Droz – Yes we can!